For those who think it’s only the golden retrievers and labs of the world that are the sweet, cute pets, this day is for you. For those who believe all American pit bull terriers are menacing, dangerous fighters, this day is for you. For anyone who hasn’t taken the time to learn that pit bulls are in fact loving pets, National Pit Bull Awareness Day is for you. For 10 years now, people have been coming together on the last Saturday in October to raise awareness that the image of pit bulls needs to change, and that humans are at the heart of that effort. Part of the success of the campaign comes from the fact that it is unstructured, meaning that anyone can put on and host an event, which is based on the same guidelines and resources distributed around the country. This ensures continuity, but enables anyone to host an awareness event. The ultimate goal is to get the truth out about pit bulls, and ultimately lower the number that end up in shelters around the country. Pit bulls become the national mascot of America during WWII, becoming “America’s dog"
The easiest way to change your perception about pit bulls is to get to know one personally. Whether it’s through a friend who owns one, a shelter, or an event specific to the awareness day, find a way to play with a pit, and we know you’ll quickly see they’re not the aggressive monsters they’re made out to be. Perhaps one of the most impactful actions you could take on October 27 would be to give a home to a pit bull in need. They’re smart and strong dogs, so training is essential, but once you’ve done this, they are among the most obedient and loving breeds in the country. Whether you’re attending an adopt-a-thon, visiting a local shelter, donating food and supplies, or any other officially sponsored event, make sure you share it on social media with the hashtag #NationalPitBullAwarenessDay. Find out if anyone else around you is also celebrating, and meet up to help get the positive word out about these loving animals. By expanding education and advocacy, the event hopes save the lives of countless pit bulls by negating the fear and bias spread by the media. It also hopes to eliminate quick governmental reactions, such as breed bans. In doing so, it’s expected that fewer people will give up their pits for adoption, more will bring pit bulls home, and a positive cycle will be created. For pit bull advocates, October 27 is a day to start a conversation about their beloved animal, sharing facts and figures most people don’t know. 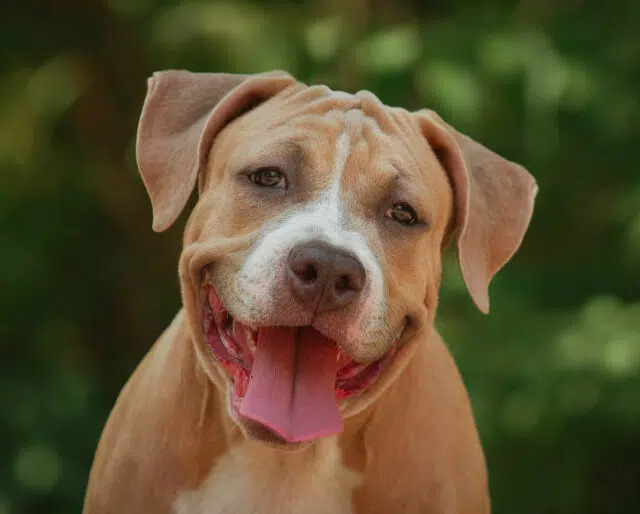 For example, some tests conducted by the The American Temperament Test Society have shown that pit bulls actually have a temperament pass rate of 82.3 percent, making it among the top five most stable breeds of the country. Now 10 years running, the campaigns and events held on National Pit Bull Awareness Day have had great success. In the media, it’s much more common to see advocacy, rather than admonishment, for pit bulls, especially as the millennial generation finds its footing and continues to adopt rescue pets, rather than buying from breeders.